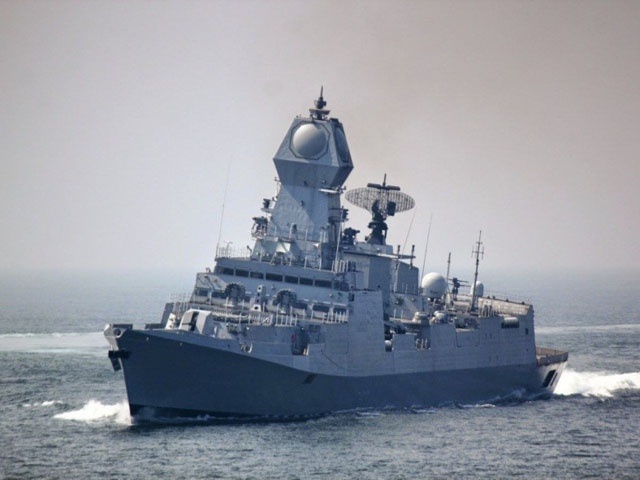 (Seychelles News Agency) - The Seychelles Coast Guard is participating in a joint military exercise with three visiting Indian Navy vessels. The three frontline warships of India -- INS Kolkata, INS Trikand and INS Aditya -- are under the command of Rear Admiral Ravneet Singh and will be in Seychelles until Sunday. Speaking to SNA on Friday, Lieutenant Colonel Jean Attala of the Seychelles Peoples Defence Forces (SPDF) said the three vessels are participating in a ship boarding exercise with the Seychelles Coast Guard’s patrol ship, Andromache. Attala said a team of naval officers will be sent to carry out a practice inspection on a boat to see if it is involved in any illegal activity. “This exercise will be beneficial to both naval forces as they will have a better understanding of each other’s approach and how to coordinate their work better,” said Attala. On Sunday the exercise will take place just off Port Victoria on Mahe, the main island of Seychelles, an archipelago in the western Indian Ocean. The visit is part of its two-month-long deployment in the Southern Indian Ocean in line with the Indian Government’s vision of ‘Security and Growth for All in the Region’ (SAGAR). One of the ships, INS Kolkata, is the largest destroyer of the Indian Navy and was commissioned in August 2014. It is on her maiden overseas deployment in the Indian Ocean Region. All three vessels are open to visitors on Saturday from 10.00 a.m. to 6.00 p.m. While in Seychelles, the crew will also be taking part in social and charitable activities. Rear Admiral Singh and his accompanying Commanding Officers will be calling on several Seychelles top officials. Defence and Maritime Security are one of the major fields of cooperation between India and Seychelles, which has been ongoing since the Indian Ocean island nation gained independence in 1976.